A night flight out of Brisbane to Dubai just as the Closing Ceremony brought the curtain down on Gold Coast 2018 offered plenty of opportunity for refelctions on the 21st Commonwealth Games. Those awful images of Callum Hawkins stumbling and then lying motionless of Sundale Bridge are hard to shift. But right at the top of the ‘things you never thought you would see’ would be the photo of Steph Twell offering roadside assistance to her stricken fellow Team Scotland athlete during that epic marathon. 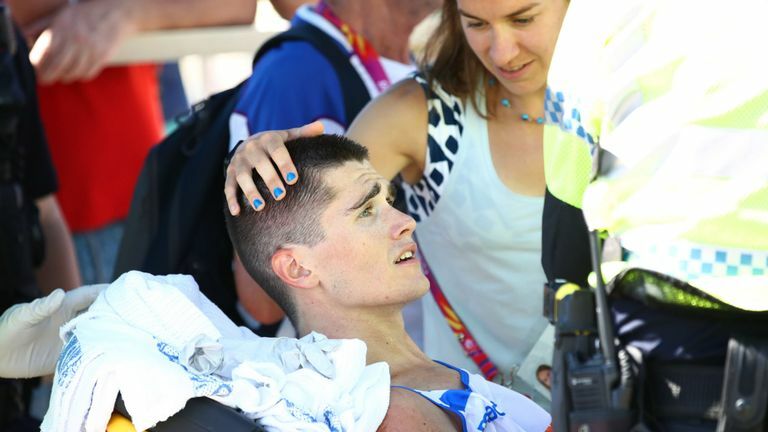 Steph and Lynsey Sharp were closer than any staff member when Callum collapsed for the second time and sprinted to try and offer their assistance. Later in the day, with Callum firmly on the road to recovery as he underwent checks at Griffiths Hospital, Steph didn’t feel the need to elaborate on her role for her friend – but the concern is writ-large across her features in that Getty Images photo. It was an extraordinary denouement on a truly bizarre day at the conclusion of a roller-coaster championships. At the marathon start-finish, the TV screen images of Callum brought down an eerie silence around the temporary stands and waiting officials and volunteers. To wear any clothing distinctive to Scotland was then to draw questions and comments concerned about his well-being. Moments later the venue crowd, who had watched Michael Shelley by-pass Hawkins, were told that Team Scotland’s Robbie Simpson was in third. It was met with a roar of approval. Eight days earlier and we had already dusted down the ‘mixed emotions’ label for the men’s hammer and highs of Mark Dry and the lows of Chris Bennett. *Sunday 8 April – tears streaming down Chris Bennett’s face as he admitted ‘It’s all my fault’ after throwing 10m less than his Season Best. And the contrast as Mark Dry gave voice to an almighty roar with his final throw and then spoke about his injuries that had the Scottish media anticipating ‘Hip Hip Hooray’ headlines after two hip operations. 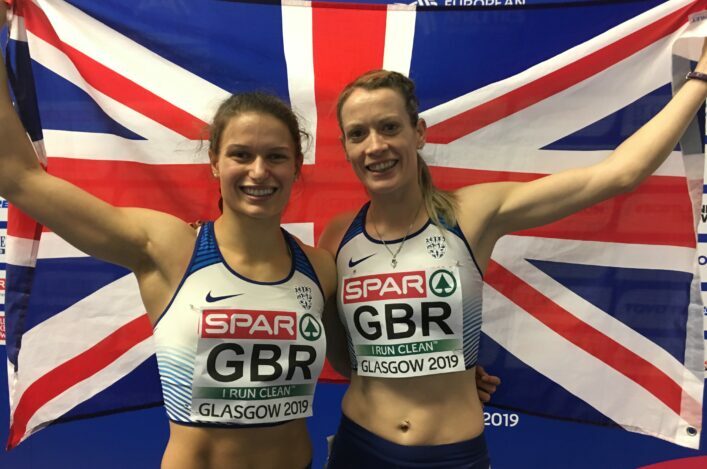 *Monday 9 April – Allan Smith, David Smith, Zoey Clark, Eilish McColgan and Twell all savouring qualification through to finals (or semi-finals, in the case of Clark). *Saturday 14 April: The moment Jake Wightman came off the top bend with a bronze medal already looking secure in the 1500m final to top off a quite superb sequence of endurance races over five days. And a classy performance from Chris O’Hare when addressing the media on his Edinburgh AC team-mate, despite his own disapppointment. Also, like Chris O’Hare mentioned above, Robbie spoke superbly about Callum Hawkins under all the circumstances. Five medals. One more than Glasgow 2014. Three more than Delhi 2010. 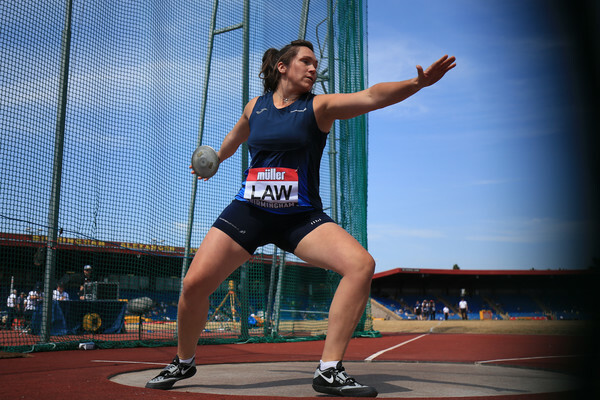 And well above the ‘par’ for athletics within Team Scotland at the Commonwealth Games which sits at about 3.5 medals with 70 achieved (prior to Gold Coast 2018) across 19 Games. Two silvers. Three bronzes. The gold medal remains elusive (or in this case plunged into the water below Sundale Bridge as it slipped from the grasp of Callum Hawkins). One in throws, one in Para sport, one in hurdles, one in endurance on the track and one in marathon. It is a decent spread given significant gaps in the team, most obviously in sprints in particular and also across throws and jumps. Nine medals have been won in the past two Games to match the tally from the previous five – a positive sign on growth, surely – although of course there have been changes to the number of events, the number of athletes in teams, the number of countries entered and so on. *Let’s return to the marathon. Leaving aside the issue of the slow support for Callum, there is a massive question mark against the Gold Coast local organising committee on the timing of the men’s and women’s events. The Para races started shortly after 6am local time and had finished not much after 8am. In fact, Sammi Kinghorn was back at the start-finish area when Callum and Robbie Simpson walked out with 22 other competitors to start the men’s race at 8.15am. As it transpired, seven athletes failed to finish and six were admitted to hospital. Only 12 men in a Commonwealth Games ‘final’ went under two hours 30 minutes. Welsh athlete Josh Griffiths, picked for GB at the World Champs last summer, ran 2.37. It was unlucky that the temperatures were touching 30 degrees on pretty much the hottest day of the Games. But a much earlier start would have been advisable for the welfare of athletes. Parkruns in Gold Coast start at 7am and the distance of course is only 5K. 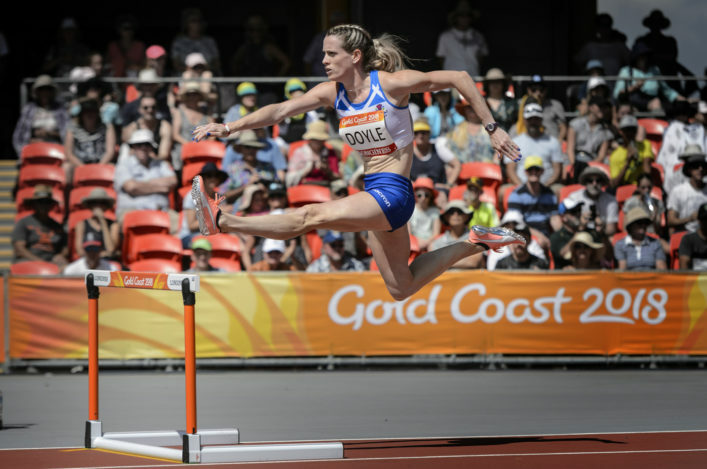 It’s not hindsight to suggest that two hours earlier would have been right for Gold Coast 2018. With three golds in four marathons and two medals in the women’s race, were they maximising home advantage? Making assessments on Team Scotland athletes on the basis of a few comments in the Gold Coast 2018 ‘mixed zone’ (where they meet the media) may be a little dangerous. But we will give it a stab. In a number of instances, it was really good to hear one or two who maybe didn’t perform as they would have liked to talk about re-doubling their efforts. For one of two others, appearances in Australia or good shows can be a platform to improvement. So, in no particular order, it was good to hear . . .
*Sammi Kinghorn, after her marathon fourth place, insist her sights are firmly set on being a Paralympic champion in 2020 and breaking 16 seconds to become the fastest ever T53 over 100m. You would not bet against Sammi achieving this. *Relay runner Kirsten McAslan after a couple of difficult years will seek to return to her previous (very high) level. ‘It was good to be back in a championships and that is me back. I want to stay ‘back’. 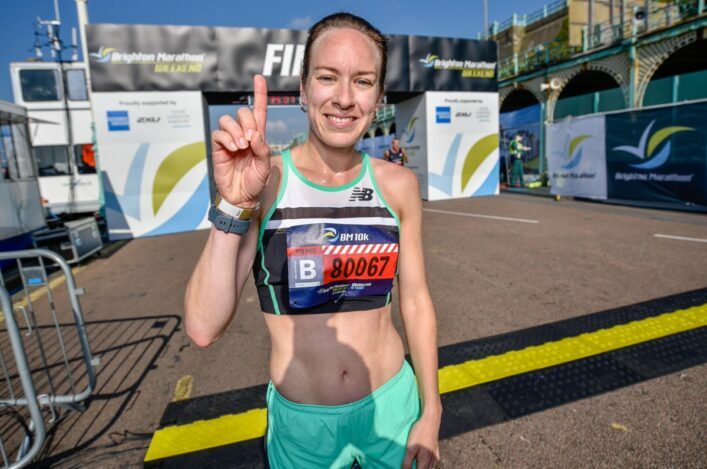 *Lynsey Sharp and Chris O’Hare will return to America and, in a few weeks, we should see them back in top races in the Diamond League and in the States. European medallists in the past, Berlin in the summer is already on their minds. 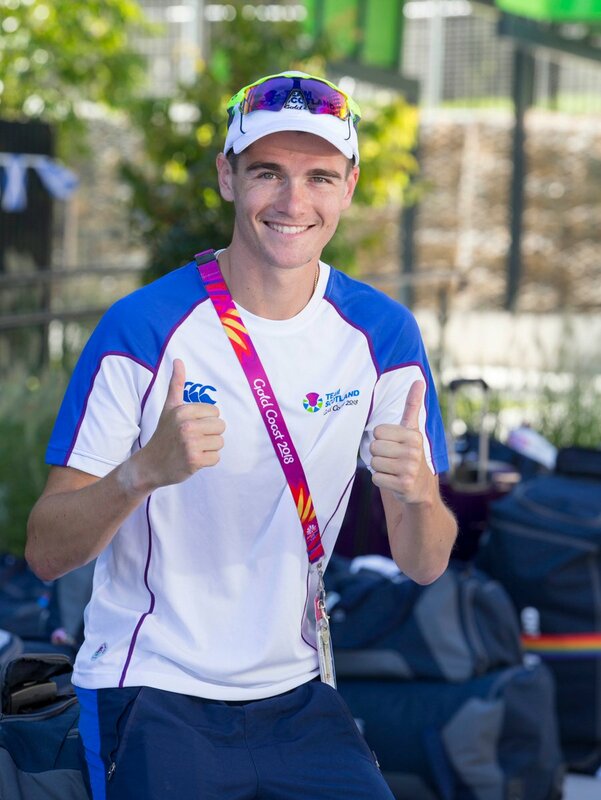 *Chris Bennett, Guy Learmonth and Callum Hawkins will all be nursing bruised pride after Gold Coast 2018. Athletics can be an unforgiving arena but, again, they will be determined to bounce back. 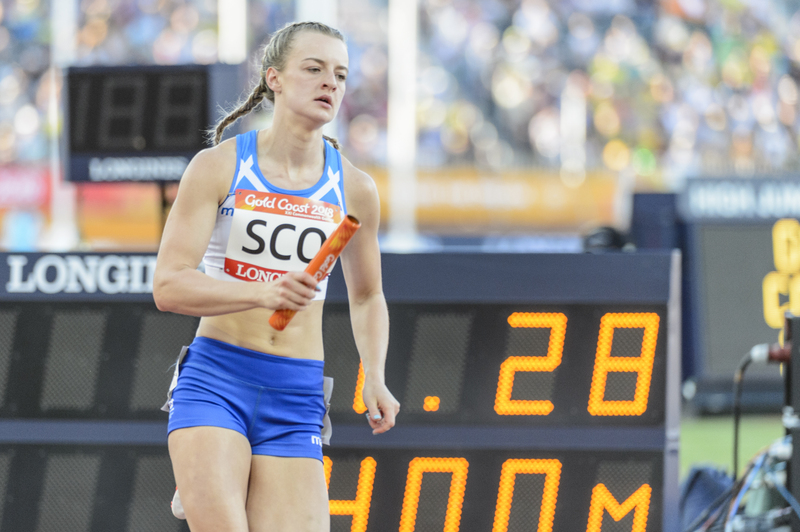 Many thanks to all the Team Scotland athletes and coaches for their help and co-operation at Gold Coast 2018. And to Bobby Gavin for first-rate photography which helped us in no small measure illustrate all the drama and excitement.